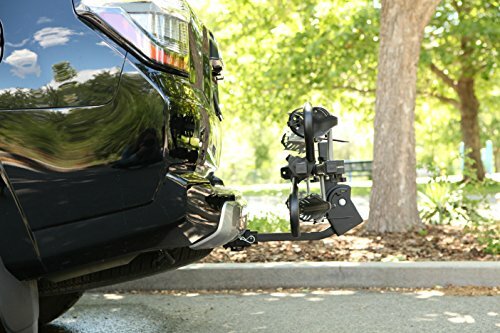 If you’re looking for a hitch mount bike rack that offers versatility, adaptability, security and on top of all that is stylish and can adapt to your lifestyle, your search might end after you’ll analyze the Sherpa 2.0 bicycle hitch carrier from Kuat. 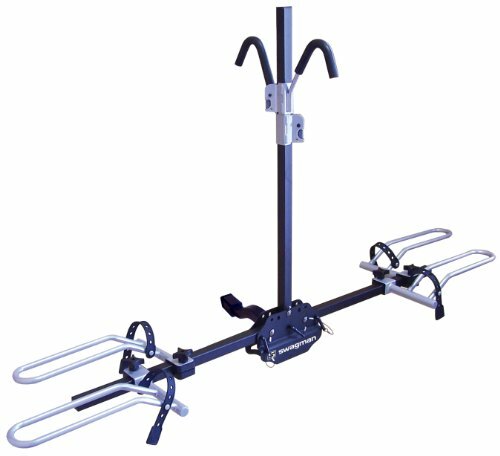 Whether you’re a weekend warrior that craves for thrilling ups and downs on the back of his bike, in unexplored territories or a die-hard enthusiast that lives for the endurance ‘Tour de France’ races on difficult tracks, you can rest assured that bot your image and your bike will be taken care of with the Sherpa 2.0 platform hitch bike rack. 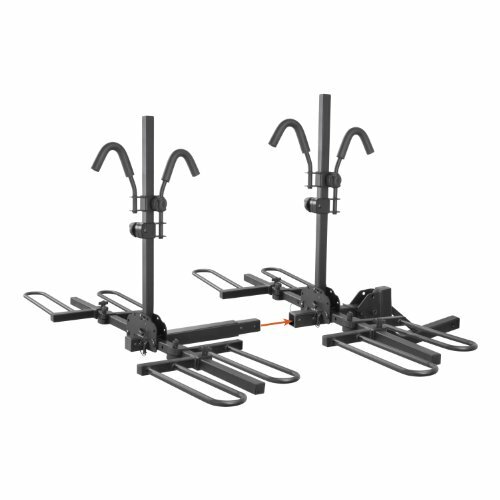 Join us and discover what enhancements were brought to the original Sherpa by the folks from Kuat, that claim they have the best looking, user-friendly and most functional hitch mount bike rack out there. 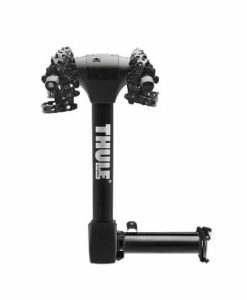 Gain security and convenience at the same time, with the adjustable ratchet arm, that releases and secures intuitively, providing a confident fit for your bike. 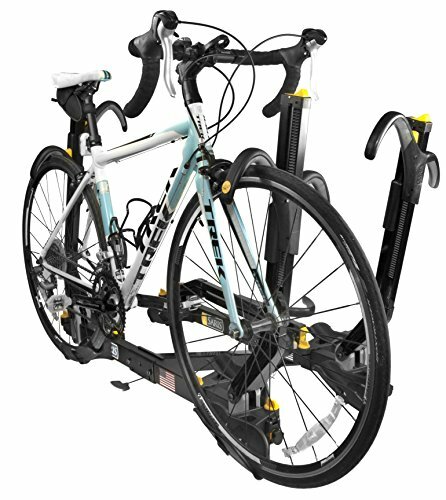 But this is not all, as you can be sure the bike stays yours till you arrive at your destination, with the help of the semi-integrated cable lock. 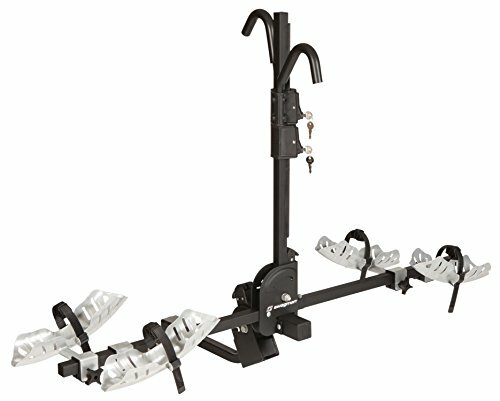 When it comes to ease of use, the folding tire cradle brings it to a whole new level, by folding up and down, for added clearance and aesthetic points. 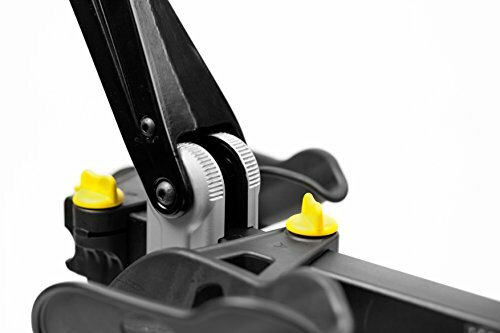 And if you thought that was it about convenience, boy you we’re wrong. And that’s a good thing for you. 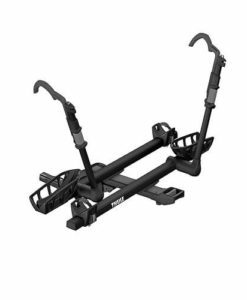 Because the foot-actuated pivot lever allows you to easily and firmly mount the bikes on the lightweight 32 lbs. 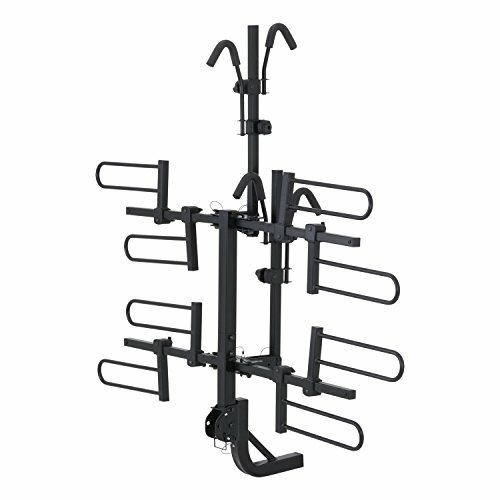 rack, while eating your breakfast or enjoying your morning coffee. 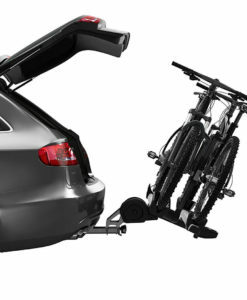 Both security and ease of use are further enhanced by the co-molded rear tire strap, intuitive front tire ratchet, and hand-tight hitch cam system, that also make sure your bike’s frame is not damaged at all during the road trip that unfolds unexplored paths. 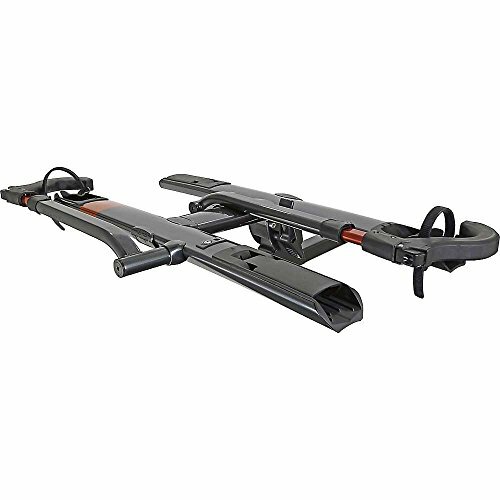 Getting into the technical capabilities that once again prove the versatility and adaptability of this platform hitch bike rack, you should know that it can carry 2 bikes up to 40 lbs. 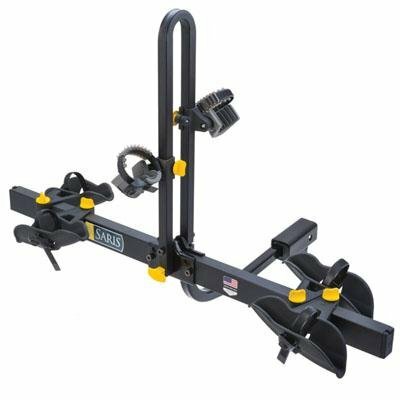 each, with wheelbases up to 47” and tires as large as 3”, while fitting both 1 ¼” and 2” hitch sizes. 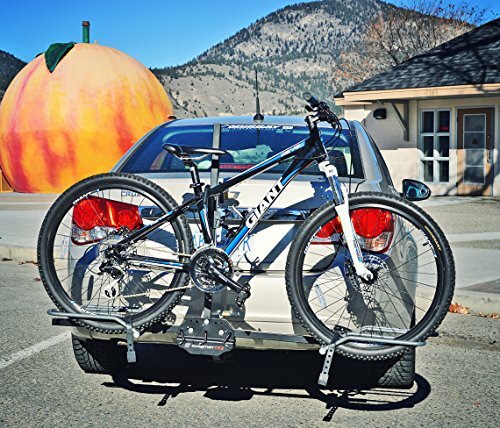 Security is yet again pointed out by the 14” of space available between the bikes when mounted. 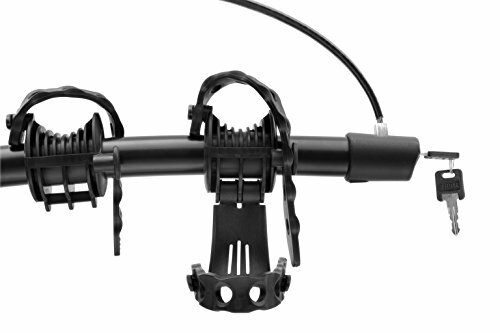 Last, but not least, all of the above-mentioned traits come in a 45 x 15 x 12 inches package.